If you are interested in commemorating an anniversary or are preparing your company’s history for an event, SHRA’s researchers can manage your project. Diving into your corporate or local archives to reconstruct and tell your story is our specialty. Our team has expertise in research and content creation across deliverables, whether for a book, museum exhibit, website, or map. Through skilled research, oral interviews, and writing, SHRA has helped many organizations celebrate their histories, from large corporations such as Idaho Power to smaller non-profits such as the Idaho Education Association. Our goal is to gain a deep understanding of your organization and highlight its most important accomplishments through a rich story of its work. We partner with graphic designers, exhibit fabricators, graphic designers, and website experts so that our historians can focus their attention on obtaining and analyzing the best information for your display. We can manage your project for you and create a team that systematically collaborates and delivers content on time. Idaho Power hired SHRA to manage its centennial celebration that took place in 2016. 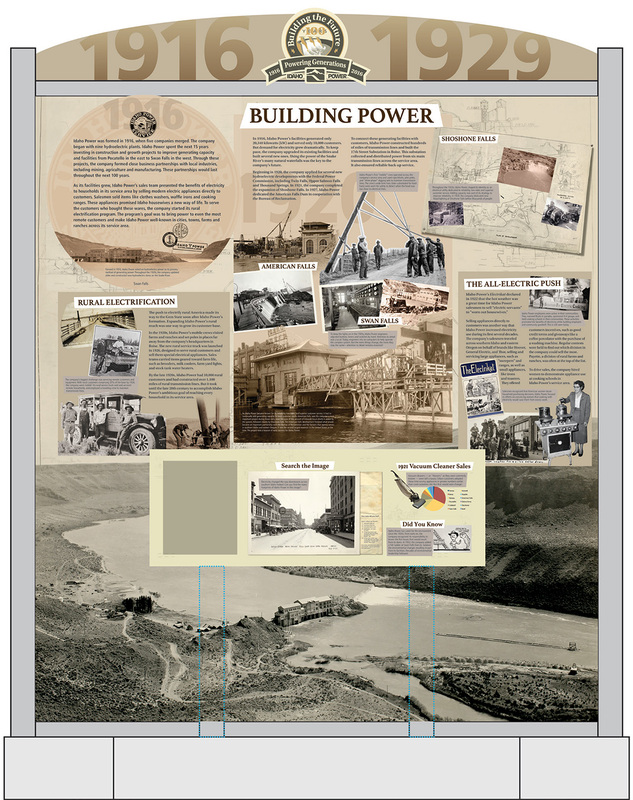 SHRA researchers created all of the historical content, and worked with Idaho Power internal staff to create a traveling museum exhibit, an online exhibit, a cookbook, and a series of ten documentary movie scripts to celebrate the company’s 100-year anniversary. SHRA received the 2016 Award for Excellence in Consulting from the National Council on Public History for our work on this project. Boise State University hired SHRA in 2013 to write its history and document the impact the organization has had on the nursing profession in the Treasure Valley. Following research in the organization’s and university’s archives, a written report and several appearances constituted the deliverables for this project. For further information, please visit our Case Studies page.